Tuesday 11 a.m. - 1 p.m.
Wednesday 11 a.m. - 1 p.m.
Thursday 11 a.m. - 1 p.m.
Top of the Bay is a favorite lunchtime gathering spot with a hot lunch buffet, fresh made-to-order deli sandwiches, soup/salad bar and desserts. Recent renovations, and a spectacular view make it a great place to meet with a business associate. Top of the Bay Calendar - Please check the calendar below for daily menu and to see if we are closed for a private event. Whether you are planning an indoor or outdoor wedding, the Top of the Bay combines historic charm with a scenic view overlooking the waters of the Chesapeake. Recent, extensive renovations - both inside and out - present an elegant once-in-a-lifetime event. Our highly skilled professional staff creates quality, locally sourced, unique menu packages. Every item on our buffet and served meal options are made from scratch. Audiovisual equipment: drop screens, flat screen HDMI TVs, sound, etc. "We had an awesome experience at the top of the Bay. Held my wedding here and everything was beautiful. Dean, made sure my experience was fabulous and everything I could ever imagine. We had one hiccup, the fire alarm went off right before the ceremony was to begin. Dean handled it professionally, quickly and compensated my husband and I for the disturbance. I highly recommend this venue, the food was great, staff very attentive and professional. I am still receiving calls on how wonderful everything was. We had a really good time. Memories to last us forever. Thank you so much Dean!!! You're the best!" 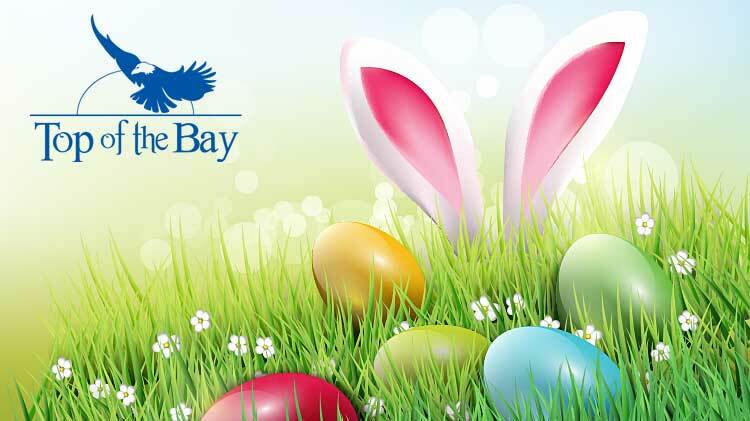 Top of the Bay would love to serve you and your guests. Our outstanding menu items are locally sourced, as much as we can possibly can. Remember us for your group's holiday gathering. Successful events start here! No matter the size or purpose of your training or meeting event, we offer flexible packages that can be customized to your specific needs. We are very flexible when it comes to guest capacity for conferences. With the use of fest tents we have been able to facilitate conferences for over 1000 attendees. Cuisine: Our expert staff offers options from continental breakfasts or buffett luncheons to high-end socials. We are able to handle any food option that makes your training or meeting event successful. Audiovisual Equipment: podium, drop screens, flat screen HDMI TVs, sound, etc.